Flora Stevenson was born in Glasgow, the youngest daughter of James Stevenson (1786-1866), a merchant of Glasgow and his wife Jane Stewart Shannan, daughter of Alexander Shannan, merchant of Greenock. 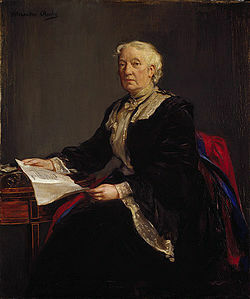 Flora was one of a large family including her fellow-campaigner and sister Louisa, the architect John James Stevenson, and MP James Cochran Stevenson. The family moved to Jarrow in 1844 when James Stevenson became partner in a chemical works. After he retired in 1854 the family moved to Edinburgh shortly before Mrs Stevenson died, and in 1859 they settled in a house in Randolph Crescent where Louisa, Flora, Elisa Stevenson (1829-1904), an early suffragist, and Jane Stevenson (1828-1904) spent the rest of their lives. Her first educational project was an evening literacy class for “messenger girls” in her own home. She was an active member of the Edinburgh Association for Improving the Condition of the Poor, and a committee member of the United Industrial Schools of Edinburgh, organising education in ragged schools for some of the most neglected children of the city. She and her sister Louisa were involved in the movement to open university education to women, and as members of the Edinburgh Ladies’ Educational Association they were at the first course of lectures for women given by Professor David Masson in 1868. The 1872 Education (Scotland) Act made it possible for women to serve on School Boards. Flora Stevenson’s friend Henry Kingsley had told her that she “was exactly the kind of person” who should have this opportunity. She was one of the first two women to be elected, and continued in this role for her whole life, eventually becoming Chairman of the Board. Her experience in working with the poorest children meant that as soon as she was elected she started work on a scheme offering food and clothing in exchange for a commitment to attend school. She was convenor of the attendance committee for many years and gave evidence on this subject to a select committee on education in Scotland in 1887. She believed strongly in the value of industrial schools for “delinquent” children and her efforts led to the innovative day (non-residential) industrial school at St. John’s Hill on the fringes of Edinburgh’s Old Town. In the 1890s she was involved in plans for the Day Industrial Schools Act (1893), the Scottish Office departmental committee on juvenile delinquents, and a committee advising the Scottish Office on reformatories for inebriates. Stevenson was a strong supporter of good quality education for girls. She disapproved of girls in Edinburgh schools spending five hours on needlework each week while the boys were having lessons, though she promoted the Edinburgh School of Cookery and Domestic Economy. She told a newspaper, “By all means let the girls of this generation be trained to be good “housemothers” but let it not be forgotten that the well-being of the family depends equally on the “housefather”. As well as support for women’s suffrage, Flora Stevenson’s political views included a belief in strongly enforced school attendance, which she felt was the key to improving the lives of deprived children, and opposition to free school meals, which she thought should be the responsibility of parents, supported by charities when necessary. These themes were sometimes addressed in her lectures on educational subjects, which were usually “cordially received”. She was a vice-president of the Women’s Free Trade Union while tariff reform was a contentious issue, and also of the Women’s Liberal Unionist Association. 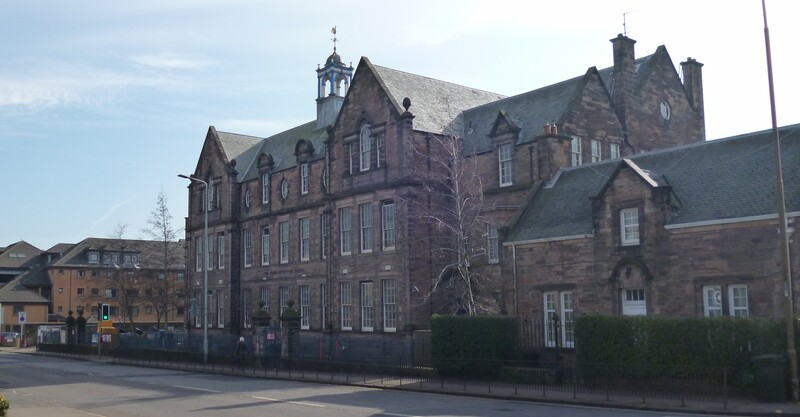 In 1899, a new school at Comely Bank, Edinburgh was named for her, and it continues as the Flora Stevenson Primary School. The last few years of her life brought further honours: an honorary LLD from Edinburgh University in 1903, a portrait commissioned by public subscription and painted by Alexander Roche in 1904, the freedom of the City of Edinburgh in 1905. She was ill and an operation in St. Andrews failed to help. She died there in her hotel and was brought back to Edinburgh for a funeral service and burial in the Dean Cemetery on 30 September 1905, two days after her death. The streets on the way to the cemetery were filled with many mourners, including two or three thousand schoolchildren.